Hello! This is a bundle of my Ancient Greece and Ancient Rome Interactive Notebooks. 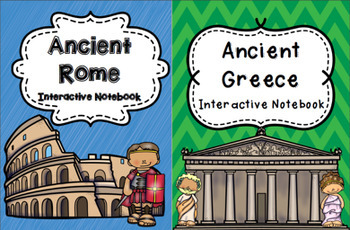 These include many different interactive notebook templates on topics from vocabulary to geography to culture and historical events of Greece and Rome. Notes are also included for each template. My students love interactive notebooks and yours will, too!